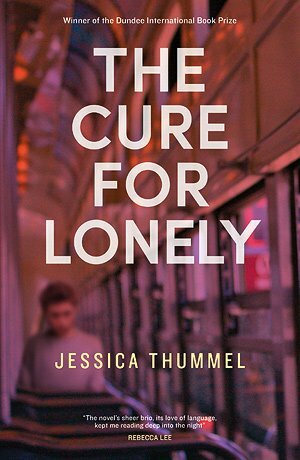 Right from its sucker punch of an opening paragraph, Jessica Thummel's debut novel is a captivating read. Winner of the Dundee International Book Prize in 2016, it follows Sam Gavin – a twentysomething from Nowhere, Kansas, who's just beginning his journey into trans manhood. It's 1989 and after a litany of tragedies, Sam's teenage obsession Gwen comes back to town. A narcissist fleeing from her fiancee, Gwen convinces Sam to leave town with her; they end up in San Francisco, where Sam feels free to attempt living as a man. The plot's occasionally a little thin on the ground, but that's easy to skip over: what makes The Cure for Lonely so engrossing is Sam's voice. He's like an unholy blend of Holden Caulfield and Scout Finch if they lived through the 1980s AIDS crisis. The book's suffused with literary references too (Sam's grouchy neighbour Bill turns out to the Bill that wrote Naked Lunch) and it's a real pleasure to read. Thummel has great skill with characterisation: here's hoping we hear more from her soon. Out from Freight on Thu 27 Jul.